Are you currently on the hunt for a good and affordable computer chair that will help ease the tension on your back muscles while you and your friends are trying to win in your favorite online game? 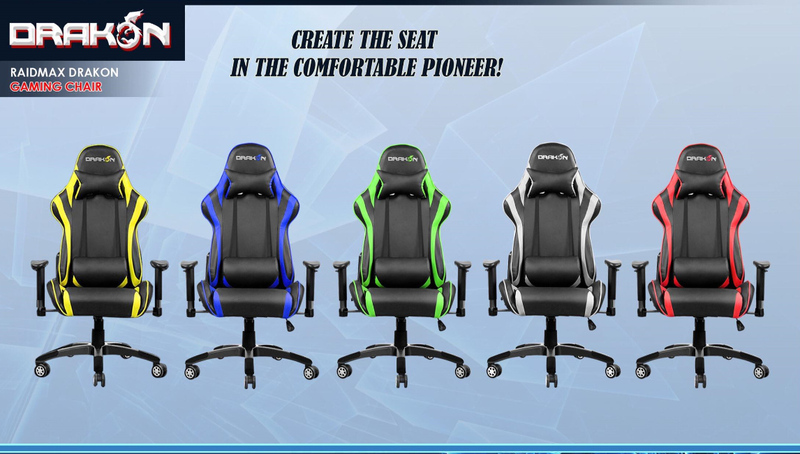 Well, feel free to choose one from Raidmax's Dragon Gaming Chair line-up, which is now officially available for purchase here in the Philippines. In fact, many of my peers in the local blogging scene who specialize in reviewing PC games can attest to the comfort and reliability that these chairs promise. Just blog-hop or visit their channels on Youtube to see their reviews. So what's so special about the Drakon Gaming Chairs, you ask? Comfortable gaming experience is essential in winning any title. Gamers who know this will definitely appreciate the padding and contoured backrest of Drakon, which provide maximum comfort. To begin, this gaming chair featurse a faux-leather cover material that doesn't only make it look elegant but also feels great to the touch. Inspired by motor sports, the bucket type seats are well designed to ease tension on the back when facing the monitor for extended periods. Drakon also has a 90 to 180 degree adjuster, height adjustable armrest, a tilt locking mechanism, and gas-spring cylinder. And to top it all of, Drakon Gaming Chairs have a lumbar cushion and headrest pillow that are surely handy when you want to take a short break before heading back into the battle field. The Drakon DK 709, which sells for PHP 7,895 per unit, comes in four striking colors, namely, Red, Blue, Green and Orange. On the other hand, Drakon DK 706 - that dons an SRP of PHP 8,750 - comes in six colors, Red, Blue, Green, Orange, White, and Yellow. Where can we purchase these attractive gaming chairs? Go ahead and try sitting on them first before making your purchase. I'm sure you'll be more than convinced to invest in at least one unit. 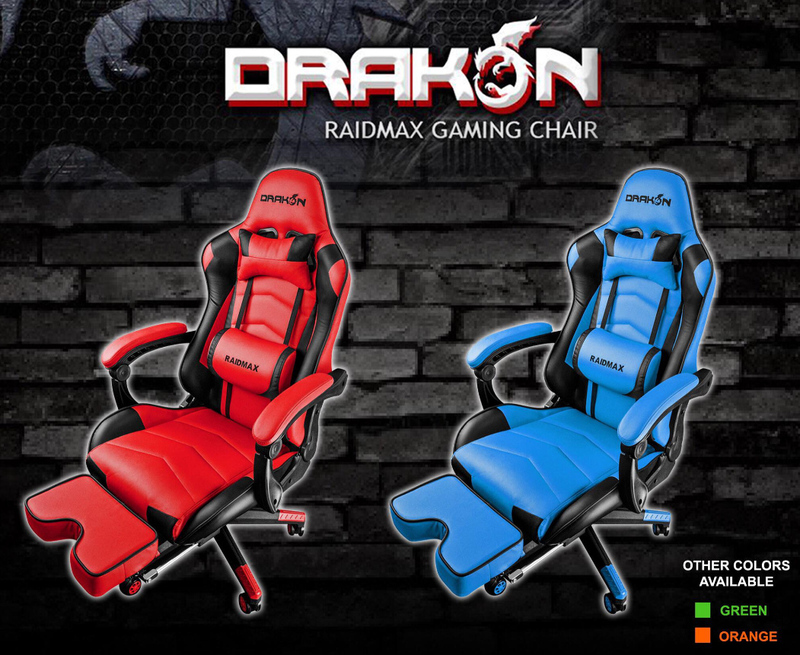 Oh, and I almost forgot to mention, some of my friends say that having a Raidmax Drakon Gaming Chair in their room really inspires them to perform better when playing. So I guess this piece offers that fringe benefit as well.